Meet Collette Hammond as she hosts her brother Demetrius's wedding reception on New Year's Eve. The festive occasion is being held at Christos Greek Restaurant in the Great Hall of St. Paul's landmark Union Depot. As the evening hours swirl closer to midnight, the Greek dinner moves on to dancing and drinking, with Collette heartily participating in both activities. 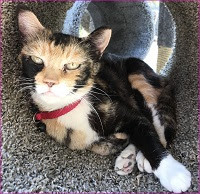 As the guests prepare to sing Auld Lang Syne, Collette's words slur, and she starts to nod off while standing on her feet and talking to guests. In front of her brother's disbelieving eyes, she sinks to the floor in a stupor. Demetrius calls for a pot of coffee believing that Collette has overindulged. When the police officer overseeing the catered event approaches, Demetrius tries to stop her from interfering, but after noting Collette's lack of color, the officer calls 911 and begins CPR until the ambulance and medics arrive. Demetrius, his new wife, and a few close family friends arrive at the emergency room. He is sure that Collette will rouse, and he is determined to keep her from being sent off to mandatory detox. When confronted with the news that Collette has died, Demetrius is stunned to the core and leaves for home. The hospital notes old needle marks on Collette's arm and a fresh one not caused by the paramedics. Routine calls are made to the medical examiner's office and police department, and Police Detectives Pete Culnane and Martin Tierney are assigned the investigation. As Pete and Martin work thru Demetrius's whitewashed version of his sister's life, they find it difficult to pry the actual facts and truth out of any of Collette's friends and fellow guests. The lies and half truths combined with the deep freeze that the Minnesota weather is offering up makes for some cold going. I really enjoyed this fourth book in this series. The writing is very descriptive and gives us characters with depth and feelings that all of us can relate to. Any sibling would sugarcoat another sibling's failings just like Demetrius does with Collette's. Pete and Martin emerge as caring and empathetic police officers and human beings. The mystery is well plotted with many twists and turns that will keep you focused on wanting to get to the outcome right now. Pete and Martin interview people, compare notes, and then interview them again in a meticulous routine that slowly bares the truth to them and us. This book uses police procedural in a way that invokes the best memories of other "Classic Police Procedurals" series. I want to go back and read the first three books because I enjoyed this one so much! A wonderful "Holiday Read" for any mystery fan. To enter to win a copy of Mistletoe and Murder, simply email KRL at krlcontests@gmail[dot]com by replacing the [dot] with a period, and with the subject line “mistletoe,” or comment on this article. A winner will be chosen January 2, 2018. U.S. residents only. If entering via email please included your mailing address. I have not read this series. I do like finding new ones! 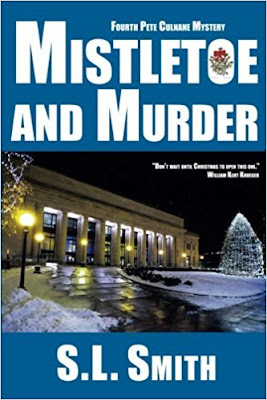 This is a new author to be but “Mistletoe and Murder” sounds like a great read. I'd love to get to know this author through reading this book. Thanks for this awesome chance to win a copy!